photography | Tired Tapir Inc.
Amirah the baby Malayan Tapir was born on July 20, 2013. Photographer Tim Cooper chronicled the first year of her life, taking over five thousand photos. In this book are collected three hundred of the best photos from the project. Follow Amirah and watch her grow! 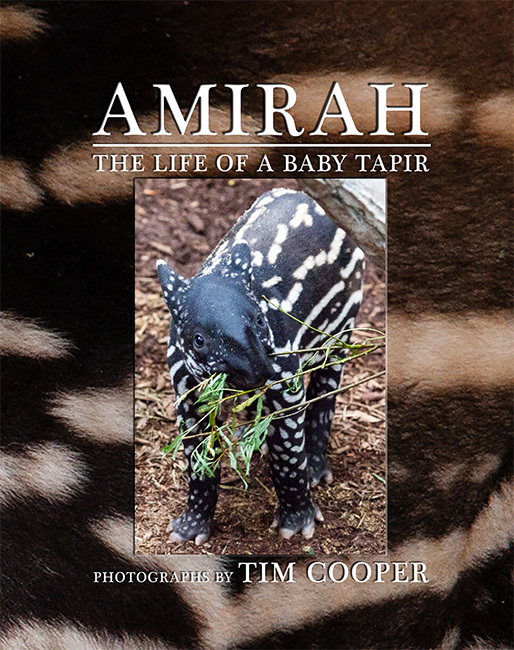 Amirah: The Life of a Baby Tapir is available in paperback and Kindle editions on Amazon.com. 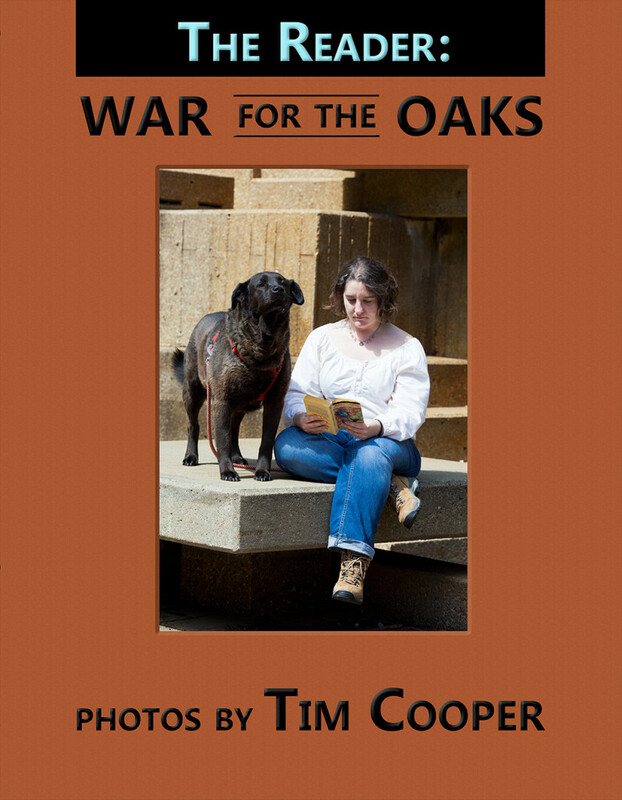 In 2013, photographer Tim Cooper set out to honor Emma Bull’s seminal urban fantasy novel War for the Oaks, which is very vividly set in Minneapolis, by photographing people reading the book in the locations from the book. This 100-page full-color hardcover is the result of that project, featuring 43 photographs in and around modern Minneapolis, with models from the local and international science fiction and fantasy community. The book also contains five essays and a poem from other authors in appreciation of War for the Oaks as well as some classic photographs of Emma’s band Cats Laughing. Publication of The Reader: War of the Oaks was funded on Kickstarter, and the book is currently available directly from Tired Tapir Press at a price of $39.95. Please contact us to order.